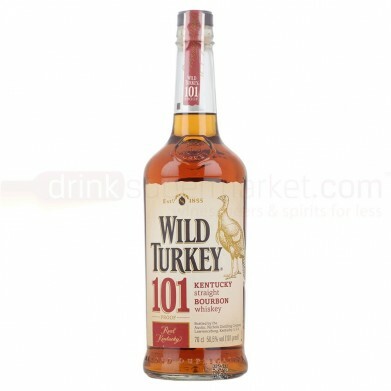 WILD TURKEY 101 PROOF BOURBON WHISKEY.750 for only $22.49 in online liquor store. The nose is quite subdued, yet there remains a beautiful toffeyed sweetness. Notes of toasty oak and melted vanilla ice cream, a touch of zesty citrus and butterscotch. The palate is full and rich with notes of cigar box sweetness, pepper, caramel, or ‘carmel’ should I say? Notes of honey on granary toast with a little melted butter. The finish is long and rich with spice and toast notes.